When Paul, awaiting his end in chains outside of Rome, speaks of the Lord—he urges us to rejoice in him. Paul considers his present circumstances not in light of their danger or sorrow but in light of his prevailing hope and desire. This and this alone will drive his life’s priorities from this moment on. Knowing Christ is knowing that we are altogether loved, forgiven and accepted beyond anything we have done or failed to do. Knowing Christ is knowing that our love for one another is the greatest, most enduring aspect of our lives. Knowing the power of his resurrection forms the content of our hope; a glorious future that infuses our present circumstances with joy. The power of his resurrection is something we are meant to experience today, when with knowledge and love, we come to believe in Jesus’ promise to prepare for us a place in the Father’s house (Jn. 14:3). We’re not there yet, but our hope has already shifted our point-of-view: from loss to anticipation; from resignation to expectancy; from regret to rejoicing. Spring may still be a matter of imagination in Illinois. 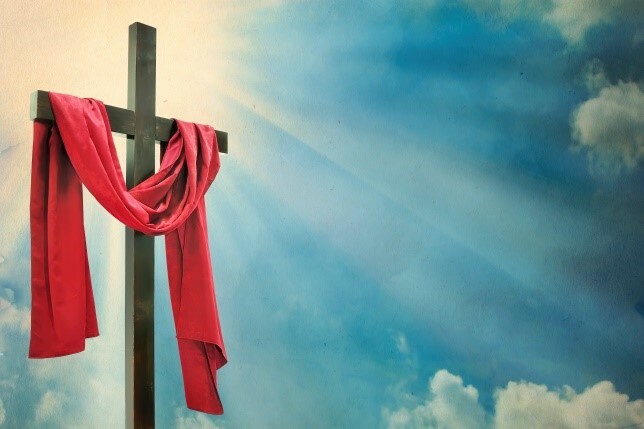 But as you approach another Easter, may the power of the promise fulfilled on Calvary for you bring to your living both “strength for today and bright hope for tomorrow.” The Lord is Risen. May this be our sure and certain hope!